A unique and charming property that was lovingly designed and built by the current vendors, serving as a loving family home for 25 years. 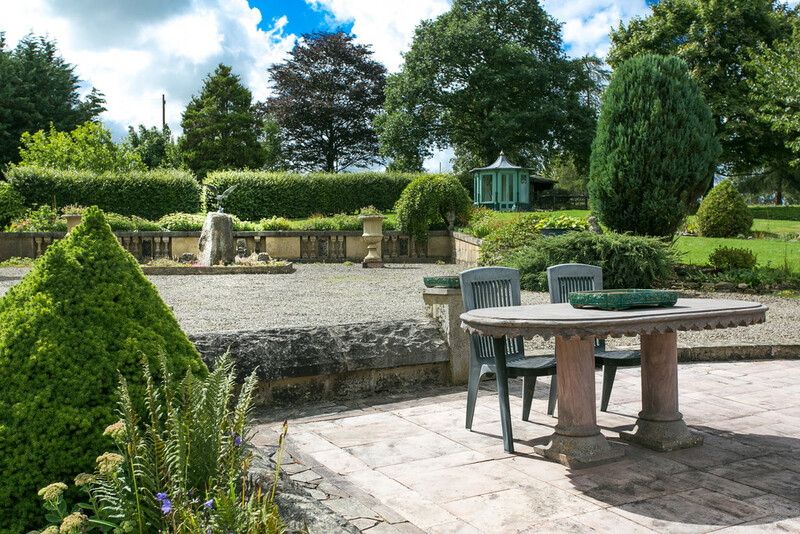 Cantsfield Grange sits within a generous plot of beautifully landscaped gardens that extend into an approximate 6 acre field. This former barn was imaginatively converted and considerably extended in 1992 yet holds all the charm and wonder for a period property thanks to the wealth of reclaimed antique features found within. 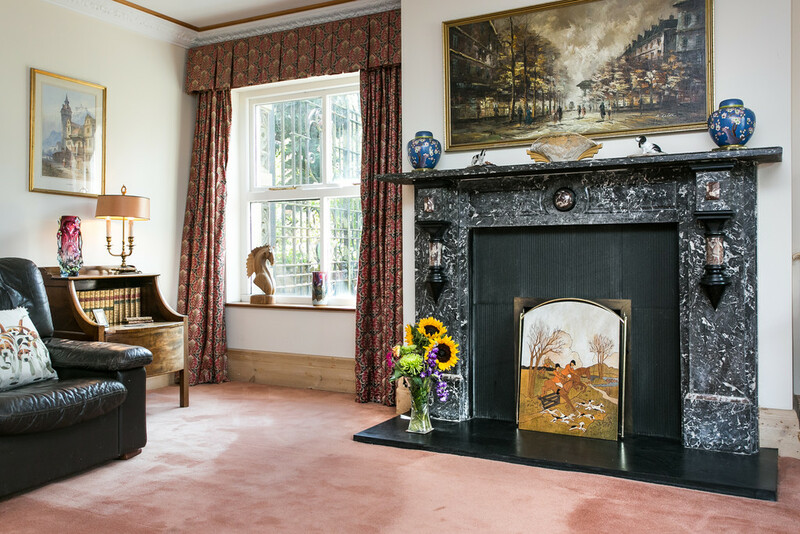 From the outset, the properties charm draws you in, with beautiful outlooks through the sash windows across to Whernside and Ingleborough adding to the magical setting. Boasting three reception rooms along with the dining kitchen and a total of four bedrooms, of which one is ensuite, the property is the ideal family home. 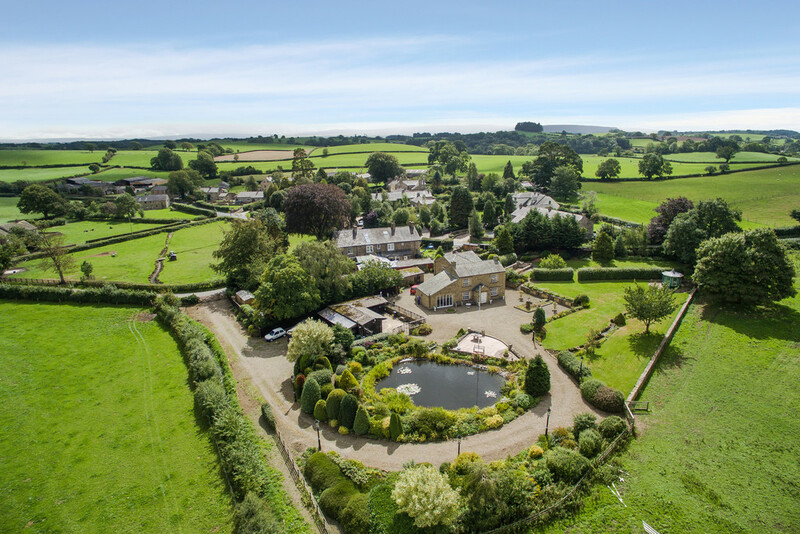 Offering discerning purchasers the countryside ideal, there is even a stable block and yard and a neighbouring bridleway taking you across the stunning local countryside. Nearby local amenities can be found in Burton In Lonsdale and include a shop, post office, village hall, Grade 1 listed Church and three pub/restaurants. The historic and bustling market town of Kirkby Lonsdale with its vibrant café culture and excellent shopping facilities is only 10 minutes drive away. There is also an excellent choice of schooling in the area, making for an ideal family home. Kirkby Lonsdale boasts a well regarded primary school and there is the Queen Elizabeth School for those of secondary age. 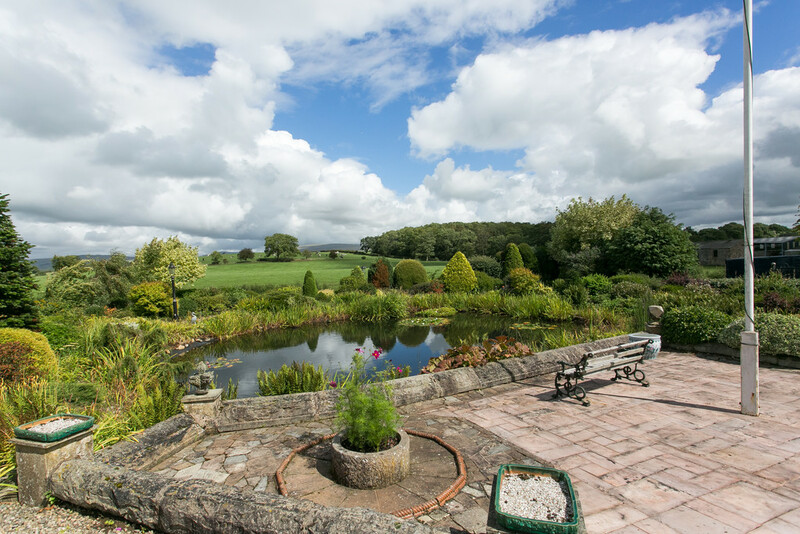 The Sedbergh Casterton Prep School and Sedbergh secondary school are also with an easy driving distance and the property sits within the catchment for the renowned Lancaster Boys’ & Girls’ Grammar Schools. The dining kitchen sits within the original barn, featuring original wooden ceiling beams and unique curved window lintels. 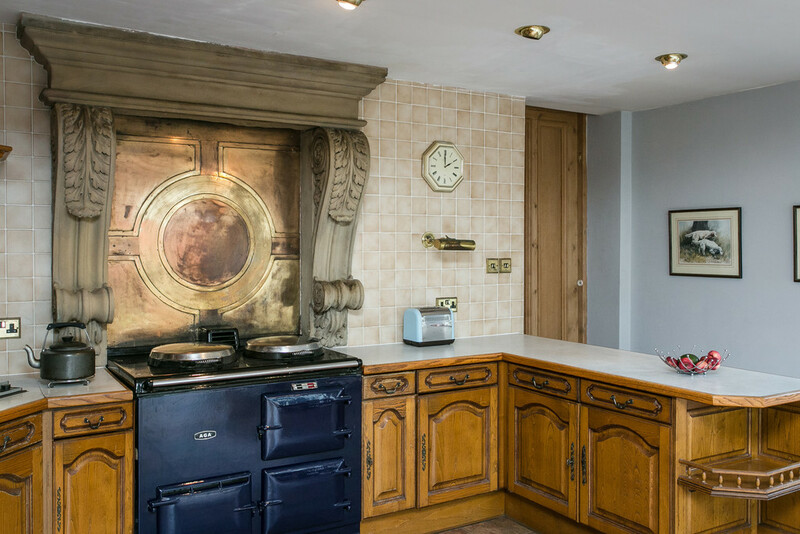 A range of traditional wooden units encompass the 2 door AGA set within a grand reclaimed stone fire surround with an antique copper back. Full length windows allow for a bright and airy space, with room for dining furniture and an external door leads out onto the cobbled courtyard to the rear. Adjoining, there is also a good sized utility with space for a washing machine/dryer and leading into a cloaks with WC. The inner entrance hall offers an alternative entrance from the driveway. 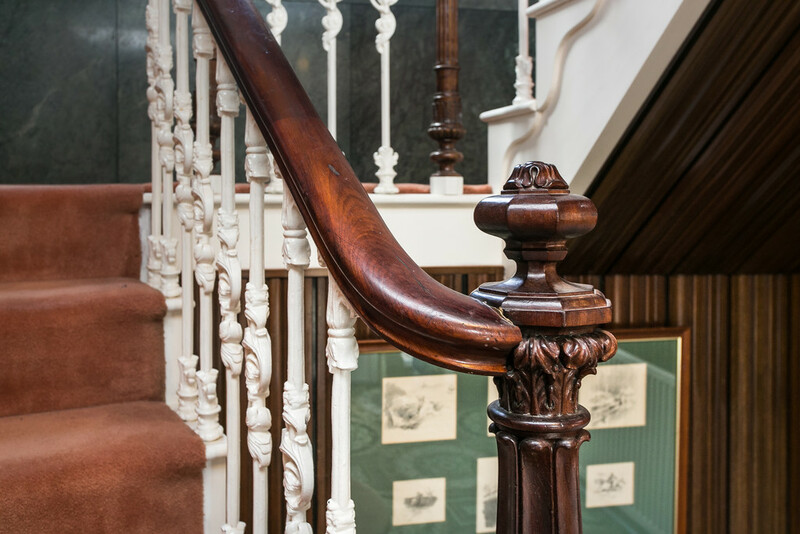 Richly finished in antique wooden panelling across the walls, the stunning wrought iron staircase and wooden bannister lead up to the gallery landing via one of the most impressive features within the property; a wall of green marble surrounding a reclaimed large stone circle window. 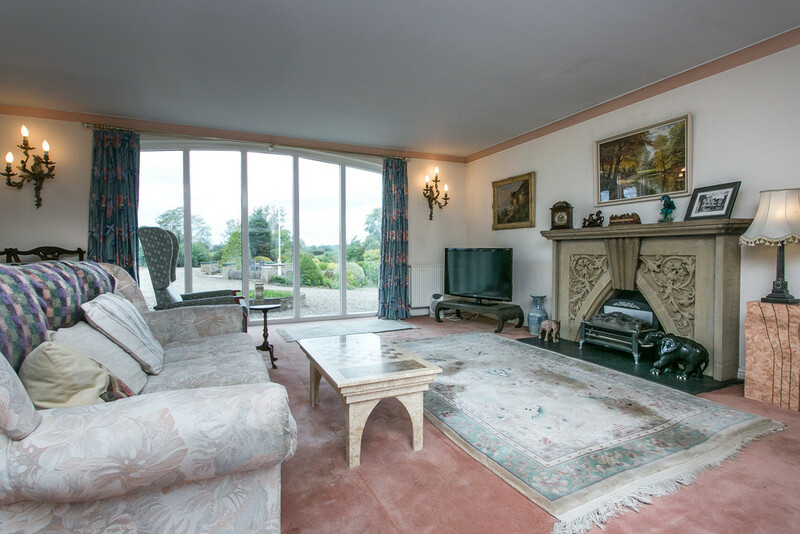 At present, there are a total of four bedrooms, three doubles and a good sized single. 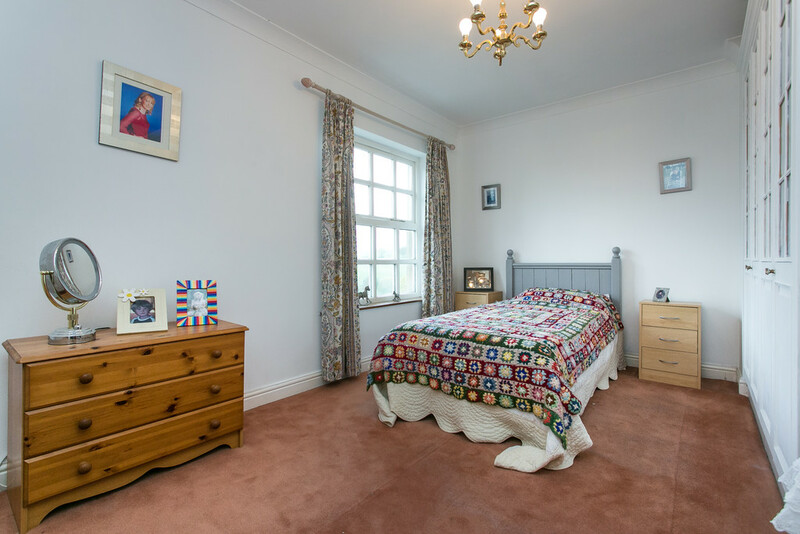 The sizeable master bedroom boasts a dual aspect with lovely views over the rolling countryside. 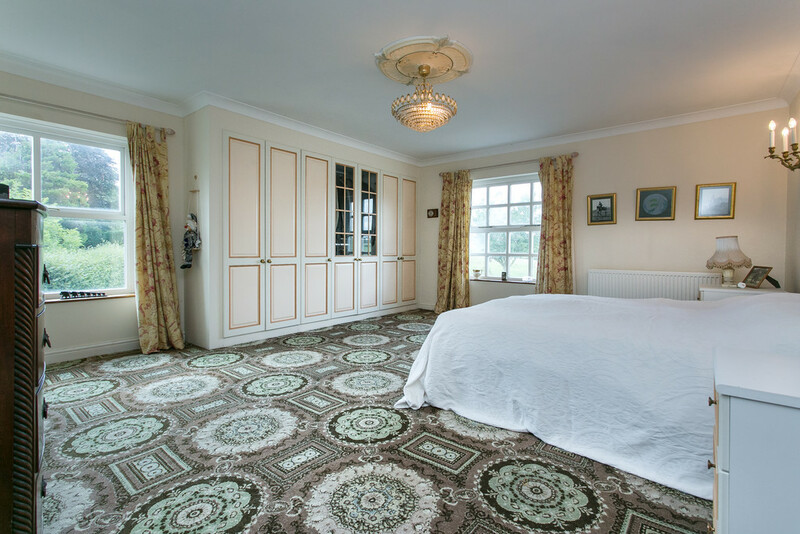 Of the four bedrooms, the equally sizeable guest double bedroom includes an ensuite shower room. 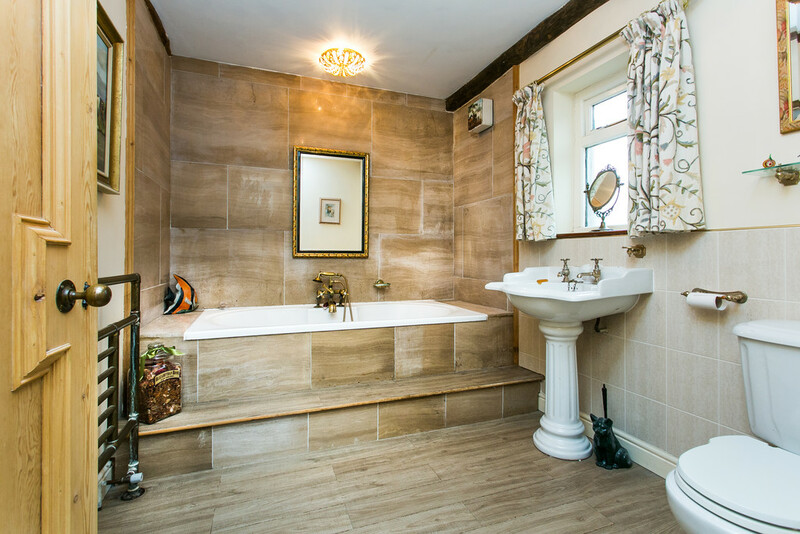 The family bathroom is finished with half marble tiling to the walls and comprises a deep set bath, pedestal hand basin and WC. 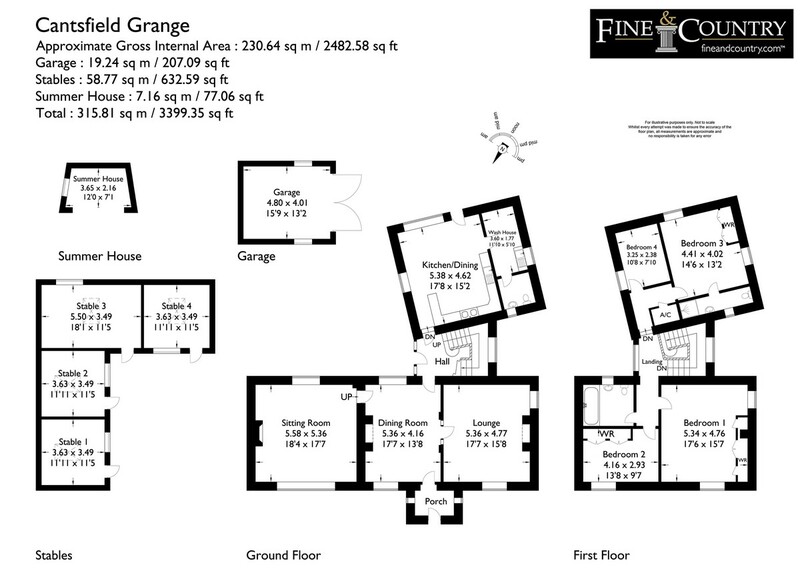 Externally, Cantsfield Grange sits within a generous plot approximately totalling at just over 7 acres. 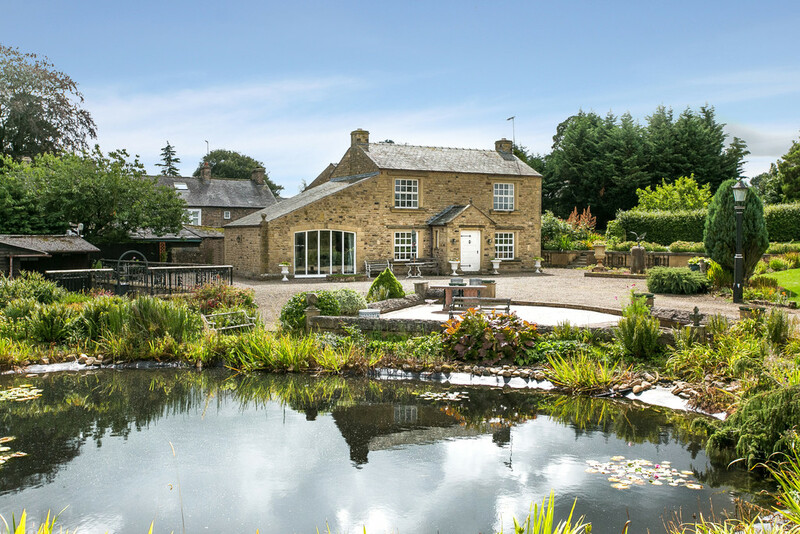 This includes the beautiful array of landscaped shrubbery that surrounds the large pond overlooking the countryside beyond, with a flagged terrace set in front making for the ideal spot from which to take in the tranquil surrounds. 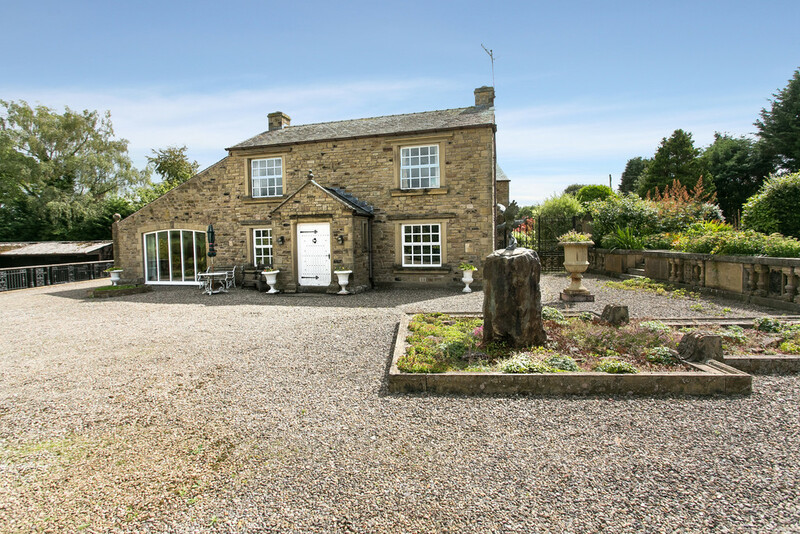 There is an enclosed, neatly kept lawn which leads down to a former outdoor swimming pool and the stone base of a former Victorian growing house. 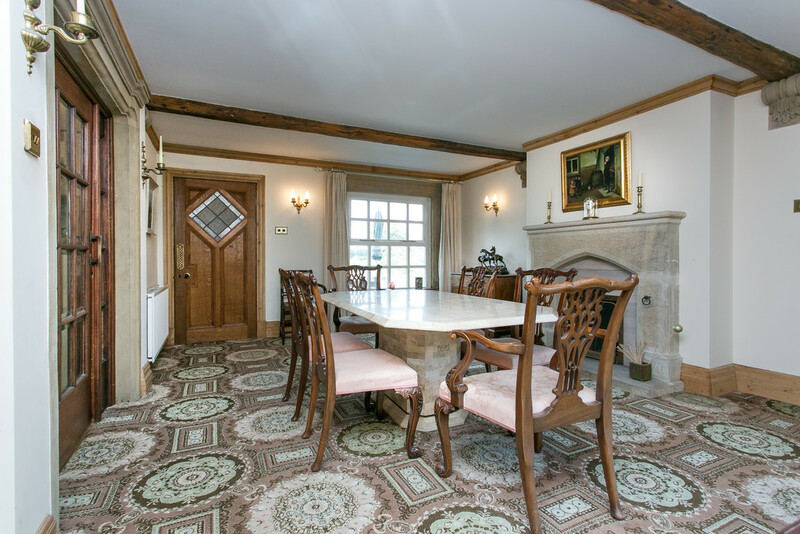 The antique features do not stop within the property, with grand stone water fountains, pillared walls and statues found across the grounds, including one dated 1892 within the secret gravelled garden. This is a secluded haven with a beautiful stone built summer house making this the ideal spot for alfresco entertaining, surrounded by sloping rockery stocked with an array of native plants. In addition to the generous and attractive gardens of the property, there is also a stable yard with four stables. A gate leads onto the driveway to the rear where there is further storage and a parking area with space for large equestrian vehicles. 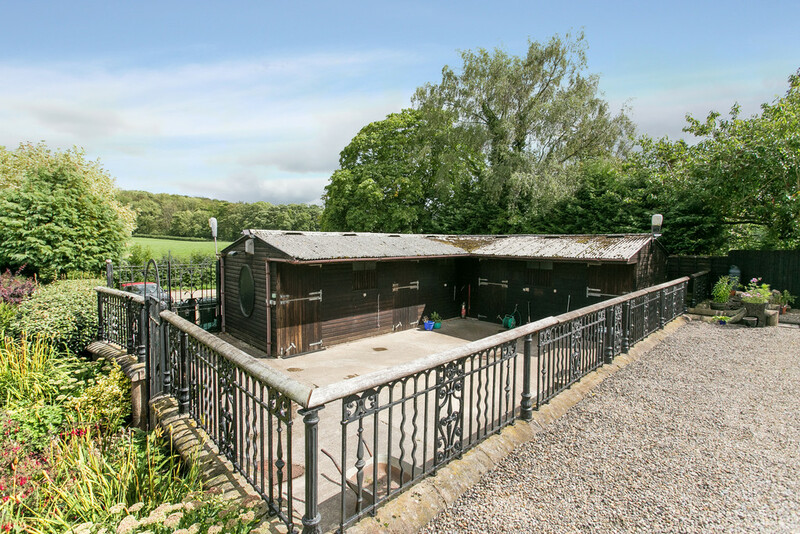 There is also access into the adjoining 6 acres of grazing land and onto a bridleway that leads across the open countryside, so this property is truly a dream for those with equestrian interests. The private driveway affords ample parking along with a stone built single garage to complete this abundant package. Directions From M6 Northbound exit at Junction 34 and take the A683 towards Kirkby Lonsdale. Pass through the villages of Caton, Hornby and Melling. At the small bridge over the river Greta turn right on the A687, for approx. 0.7 mile, just after bearing right in the road, take a left turn onto a lane and the entrance to Cantsfield Grange can be found on your left through the wooden gates. Follow the private drive to the front entrance of the property.